East West Manufacturing offers Surface Mount Technology (SMT) capabilities through our Electronics Manufacturing Services (EMS) division. 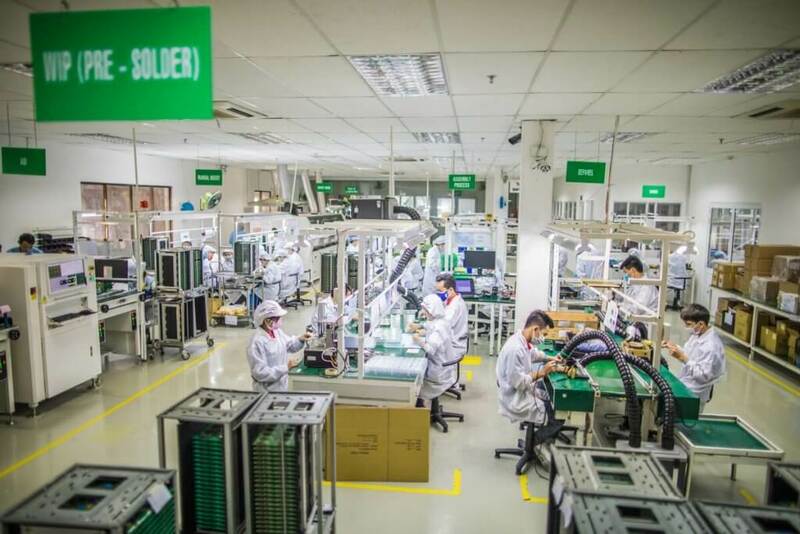 Located in our own three-building complex in Vietnam and now in Costa Rica, East West has a scalable state-of-the-art, lead-free facility to manufacture printed circuit boards (PCBs) and complete box build assemblies. 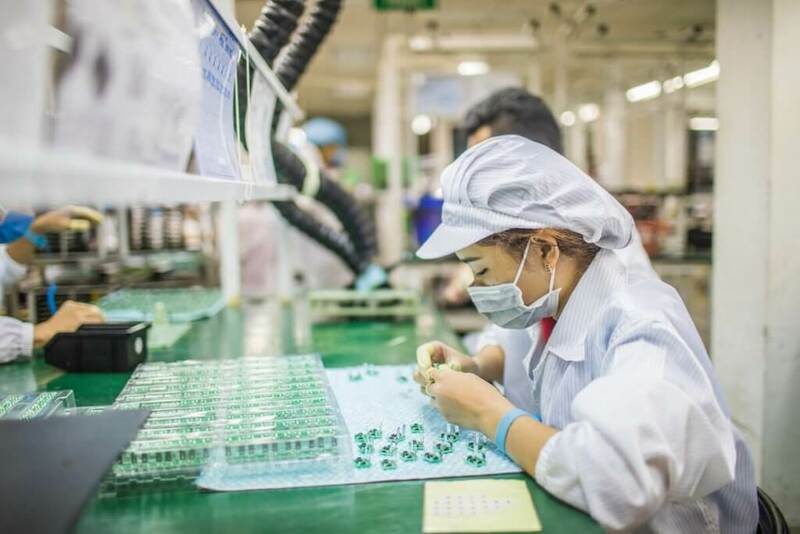 With our Vietnam and Costa Rica facilities ISO 9001:2015 and 13485:2016 certifications, our customers can be assured that East West can meet quality requirements continually. 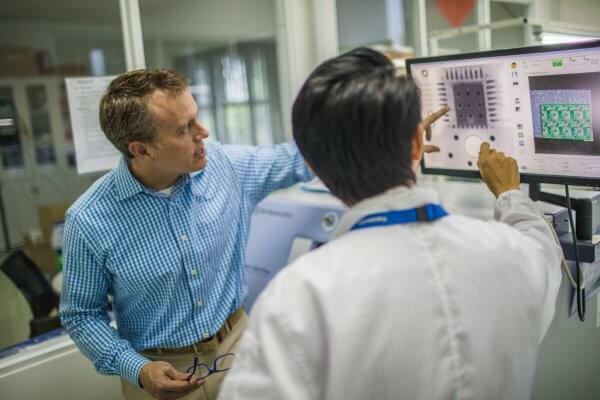 Our experienced engineering team provides superior solutions for new product development projects including design for manufacturability and design for testability (DFM/DFT). Our lean culture enables continuous improvement efforts ensuring we provide our customers with the lowest “total cost” solution. High-volume, low-mix PCBs and PCB Assemblies help your project come to life under one roof with the support of our in-house tooling shop, injection molding machines, pad printing, sonic welding, test laboratory and full assembly operations. 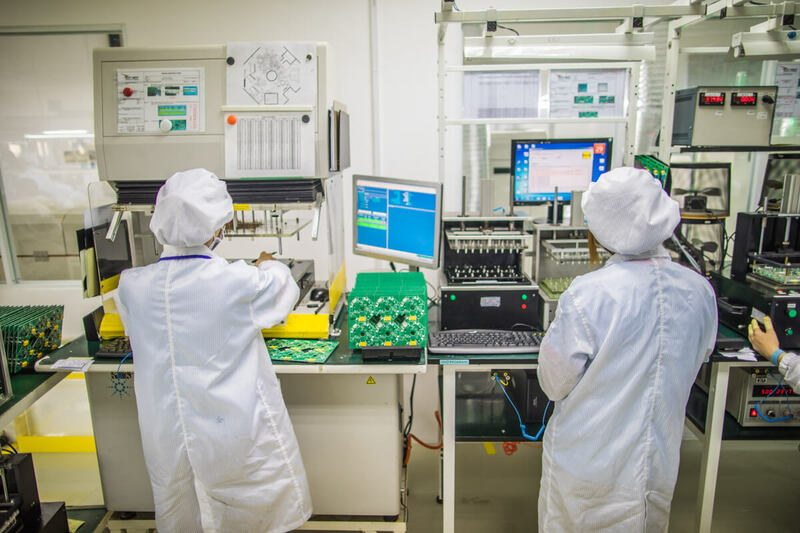 EMS efforts are fully supported by offices located in Shenzhen, China; Ho Chi Minh City, Vietnam; San Jose, Costa Rica; Charlotte and Raleigh, NC; and Atlanta, GA.
All electronics assemblies, sub-assemblies and box-builds are made and inspected to IPC-A-610 standards. Agency approvals include UL, CSA, CE and RoHS. East West offers the flexibility to accommodate New Product Introduction (NPI), Complete Box Builds (including 4-color retail packaging) and full production runs. Our modular approach with plug-in scalability allows our engineers to quickly adapt to customer demands. We can handle the smallest components available today on boards up to board size 15.75”x18” as well as single, double sided and multilayer boards. East West can accommodate board thickness between 0.015” and 0.165”. What Else Can a EMS Contract Manufacturer Do for You? East West provides additional processes such as injection molded plastic housing, laser cutting, custom magnetics, cable and wire assembly, or vacuum forming, to complete your electronics project’s needs. We have access to injection molding machines up to 800 tons to meet all your molding needs. Injection molding tooling is offered with prototype molds available. We offer tooling warranty, providing full maintenance and replacement at end of life. East West’s very own tool shop provides our customers in-house tool manufacturing expertise, reduced tooling cost and increased speed to market for production. From simple single cavity to complex multiple cavity, slides, gates and injector pin designed molds, we have the technical skills and equipment to manufacture precision molds for your unique project. Providing more than just Electronic Manufacturing Services, East West offers in-house tooling, plastic injection molding, electrical assemblies and sub-assemblies, SMT, CNC machining, high-precision die casting, EC Motors and assembly/testing capabilities. Competitive Pricing with U.S.-Based Engineering and Customer Support. East West is committed to Total Quality Management. With our highly trained and qualified staff of both in-house and third-party inspectors, including UL, you can be confident your products are produced to meet your specifications in our factories. Our PPM defect levels are significantly lower, compared to industry averages. We not only ensure competitive pricing, the key benefit to offshoring, but also further maximize your competitiveness by delivering the highest quality possible. Our Atlanta-based engineering and customer support teams are quick to respond to any inquiry and are only a phone call away if you have questions about your order. The commercial and technical aptitude of our engineers and field sales team allow us to expedite your requests and get your answers, faster. Have an electronics project you’d like to talk about?